Beautiful and spacious 3-floor-apartment with 5 sleeping rooms. A beautiful combination of a modernized property and preserving original details, such as stained glass windows. Located in a lovely green area, near the beach of Kijkduin. Ideal location as to shops, supermarkets and public transport. 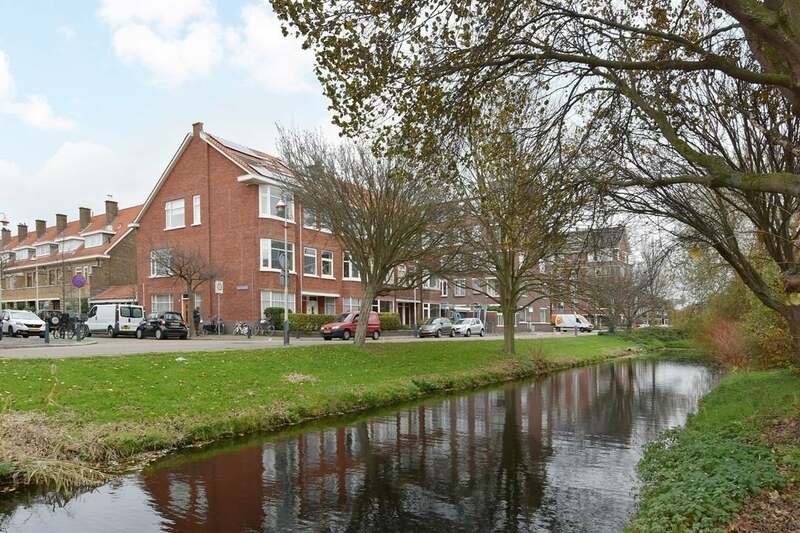 International schools in the vicinity, within walking distance of the International School of The Hague and only 8 minutes driving from the European School. This unique property features 2 bathrooms and toilets, shower toilets. Comfortable living in a friendly environment. Stairs to 1st floor: entrance; hall with staircase; spacious landing living room en suite with beautiful parquet/laminaat floor Closed kitchen. Stairs to 2nd floor: light overflow; bathroom 3 bethrooms, one with balcony; second toilet. Charming family home with all luxurious appliances in an ideal location.